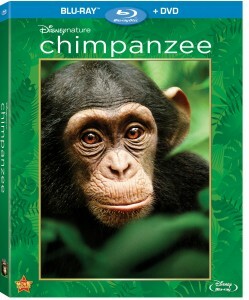 From the Studio that has brought us the awe inspiring Earth movie, comes a new film focusing on creatures that are near and dear to our hearts-Disney Chimpanzee available on DVD and Blu-Ray Combo pack. This is a stunning tale of individual strength and perseverance as well as the everlasting family bonds that bind. As you take a journey into the African rainforest you will be able to get to know Oscar whose tale will keep you in awe and laughter. Oscar and his fun playmates love to create mischief and get into all sort of wild antics as the Chimp family navigates the rain forest. The stunning combo pack is filled with some fantastic extras that will allow you to continue being involved in the chimpanzees’ lives long after the main film feature is over. This is truly a film that the entire family can enjoy, including our four legged companions such as our dog Jake, who loved it. Disney will be giving away a copy of this DVD to one lucky Canadian winner. A random draw will be made by Random.org on September 1, 2012 from all entries received. Giveaway is open to Canadian residents with the exception of Quebec. I'd like to thank Disney for all of the memories they've helped make with my family! Disney makes such great movies. We would love to see this! Thanks so much for the giveaway! This would be an excellent family movie to own. I love Disney Movies and this looks like a great one to watch with the family. Thanks. Can't wait to take my grandson to see this - he'll love it. I love disney movies, would love to win this to watch with my family! Disney you make great movies! I like that this is a nature film that I don't need to be worried will be too violent (or 'real') for very young eyes who are not ready to understand some things about wild animals. this was an amazing movie, and would love to be able to own it on dvd! Hi,I seen I won the Chimpanzee dvd I didnt get an email requesting my address,just wondering if I may have overlooked it?? Thank you!